Updated every 15 min. For access to our Live availability through ePicas, click on the “Click to view our live availability” button below. Plug Connection’s ePicas availability lists are LIVE and in real-time—updated instantly when a transaction occurs—so you know exactly what you’re going to get. Click HERE to request your Plug Connection ePicas login ID and password. Link to Plug Connection’s ePicas to immediately view our Current Availability—this is a quick look at what’s available for the next 20 weeks—updated each week on Wednesday. Simply select “Description begins: All” to view our current A-Z availability list. Select Main Availability A-Z from the “Form:” field drop-down, then select “Description begins: All” to view our complete A-Z availability list. Can’t find it? 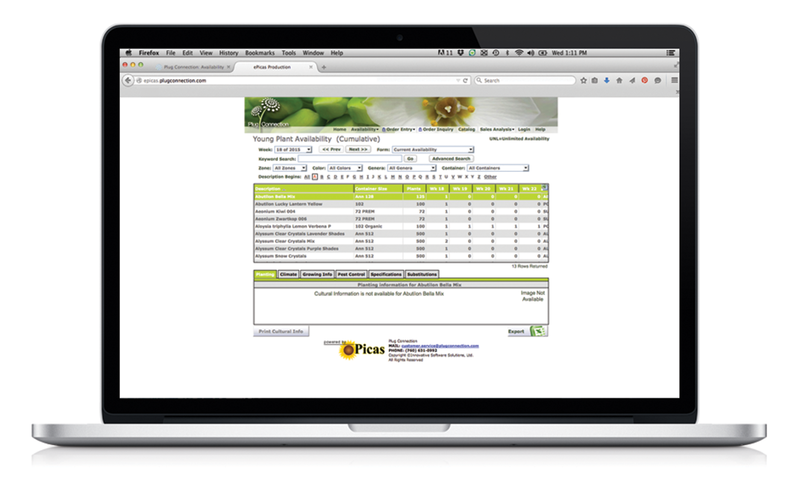 Request a quote for custom propagation.